The holiday season is in full swing, which means a significant rise in travel for holiday parties and family gatherings. Considering the increase in vehicles on the roads, it is even more critical that safe driving practices are followed going to and from your destination. An important safety practice that is often overlooked is making sure you have had sufficient rest prior to getting behind the wheel. With over 40% of people admitting they have fallen asleep while driving, driver fatigue is a serious issue. According to the Governors Highway Safety Association report, in 2015 alone, an estimated 5,000 drivers died in crashes that involved drowsy driving. In addition, it is estimated that there are 100,000 reported accidents each year that involve fatigued driving. Know the signs of fatigue. 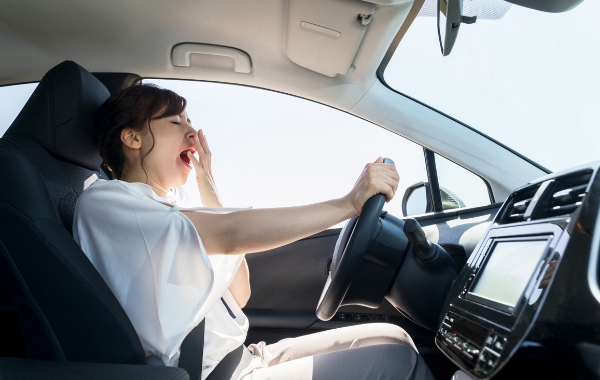 If you start to yawn frequently or feel like you might nod off while driving, find a safe place to pull over and rest. Get out of the vehicle, stretch, and walk around to help yourself wake up. If needed, take a short nap before getting back on the road. Eat nutritious meals during and on the days leading up to your trip. Do not use caffeinated or high sugar drinks to make up for the lack of sleep. Check with your physician to be sure the medications you may be using will not make you drowsy or impair your ability to drive safely. Avoiding drowsy driving will help to ensure that you make it to your next party safely, well rested, and ready to enjoy the company of family and friends.